Health Minister Fernando Llorca reported that 10 people died in Costa Rica due to health complications caused by the influenza virus in the past six weeks. At a press conference on Friday evening, the minister said that the victims were between 4 months and 51 years old. Five of them died at hospitals in the capital San José, four in Alajuela, and one in Puntarenas. Nine of cases were patients who presented health risk factors such as diabetes, hypertension, morbid obesity, or lung, heart or kidney disease. The Health Ministry reported in a news release that all the victims were infected with either the AH1N1 or the AH3N2 strains of the virus. None of them had been vaccinated against any seasonal strains of the virus, the ministry reported. The Alajuela patients lived in the Northern Zone communities of Florencia, Guatuso, Aguas Zarcas and Santa Rosa de Pocosol. The San José victims lived in Tibás and Goicoechea. The ministry also reported that there are 20 infected patients isolated inside a special room in the San Carlos Hospital, and that two of them are in critical condition. 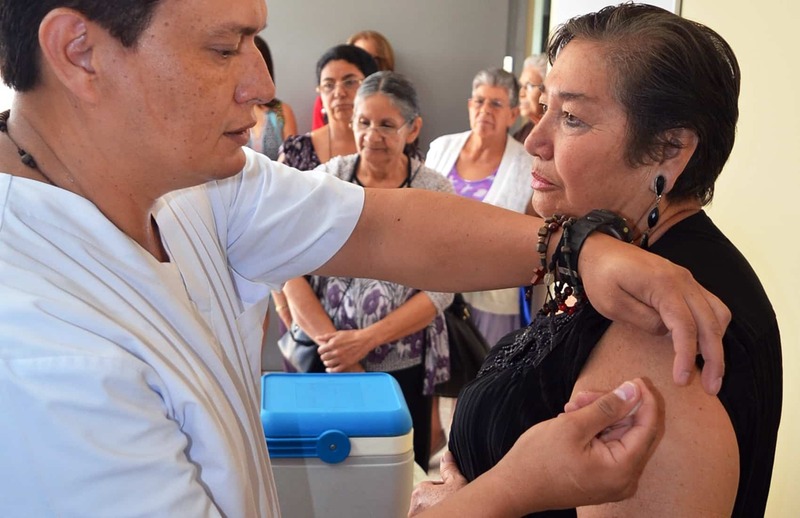 María Villalta Bonilla, the Medical Manager of the Social Security System (Caja), said that the circulation of influenza viruses and respiratory diseases in the country occurs throughout the year, but rains and low temperatures increase the number of infected people. Costa Rica is currently in the transition between the rainy and the dry season. The National Meteorological Institute reported on Friday that a cold front entering the country from the Gulf of Mexico will bring heavy rains and strong gusts of wind for a few more days in most of the country: the Northern Zone, the Caribbean Region, the Southern Pacific and the Central Valley. Caja data indicate that the number of cases recorded so far this year in the Northern Zone does not exceed the average for the region. However, officials expect an increase in cases due to rainy conditions in recent weeks, prompted by various weather phenomena including Hurricane Otto. Villalta said that Caja’s hospitals in the region will operate as usual this month, both regular consultation services and emergency rooms. Between the second week of December 2015 and the second week of January 2016, public hospitals recorded an increase in cases of respiratory infections. The seasonal spike resulted the deaths of in 27 people during that period, the Caja noted. Officials from the Caja and the Health Ministry are calling on the population to exercise hygiene measures to prevent contagion. People should wash their hands frequently, cover their mouths and noses using the forearm or a tissue when sneezing, and avoid smoking. Authorities also ask people who have flu or cold symptoms to refrain from going to work, at least until coughing and sneezing ceases. In addition, they ask sick people to avoid visiting crowded locations such as concerts, sports events, shopping malls and churches. Villalta said that any person with a fever of 38 °C (100 °F) or above and presenting breathing problems should seek medical attention as soon as possible, with particular caution when the person has other special conditions. Children under three, seniors over 65, overweight people, and people with transplants, immune system disorders, chronic respiratory or cardiac problems should be supervised with particular care.